This zombie ballerina costume features a black dress with skull and crossbones print on the sleeveless bodice and a full tutu skirt with decorative silver print. Add the finishing touches with distressed black glovelettes, leg warmers and a plastic silver crown! 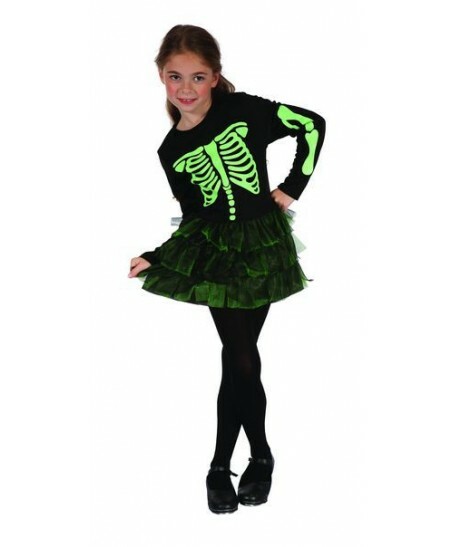 Girls Zomberina Costume includes: - Dress - Crown - Glovelettes - Leggings.